The more you can drill down and understand your sales results, the better you can plan short- and long-term marketing strategies. A sales trend analysis reviews your performance over specific time periods, analyzing sales by several different measurements, such as units sold, distribution channel and profit margins. Business owners look for trends, or patterns, that can alert them to future performance opportunities or problems. For example, even though this year’s total sales revenues might be the same as last year’s, you might spot a growing trend of selling more low-margin items than the previous year. This can result in lower profits even if you have the same revenues. Spotting this trend early can help you take steps to address it, such as raising prices, cutting costs or spending more marketing communications dollars promoting higher-margin items. If a particular product has declining sales, you might change it or drop it from your line. If fewer and fewer men are buying your product, you might shift your focus to marketing to women. Trends can develop quickly, so analyze your sales by month, quarter and year. Compare your data not only by this year’s performance, but by year-to-year-periods, as well. For example, you might see a dip in sales from quarter two to quarter three this year. If you compare each quarter to the same quarter last year, you might find quarter three sales volumes this year are up compared to quarter three sales last year. If you analyze your third-quarter sales for three or four years, you might notice an annual seasonal decline at this time, revealing that this year’s performance in the third quarter is actually a positive sign. To get the most accurate, useful data, use specific terms for your sales trend analysis. Some companies use the word “sales” to refer to all revenues generated by the company’s core business. Other businesses use the word “sales” to refer to units sold. Some business owners use “volume” to refer to either total sales revenues or units sold. When referring to profits, delineate between profit margins and gross profits to spot trends in both of these areas. 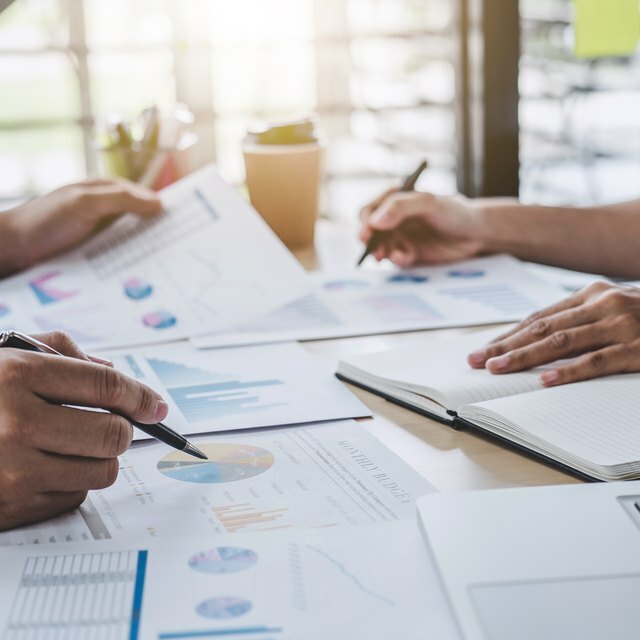 To get the most-useful information from a sales trend analysis, use a wide variety of key performance indicators, or metrics, to analyze your sales performance. These should include sales by product type, profit margins, distribution channel, sales rep, territory and customer type. For example, older customers can provide steady business but limited growth. New customers come with acquisition costs that reduce the margins you make from them, but based on the number of new customers and the size of their orders, they can generate exponential growth for you. Look for sales trends among different customer demographics, such as women, men and seniors. If you can gauge your competition’s sales, keep track of your market share.